Listing your franchise locations in local online directories is a sure-fire way of getting your franchise information out to more potential customers and clients on the web. When it comes to increasing your franchise’s online presence, Stark Logic can help you take the steps necessary to earn high search engine rankings through business directory marketing. Using SEO to optimize your franchise sales web site and franchise consumer site can only get you so far, so listing each of your franchise locations with local business directories can help set your apart from your competition. 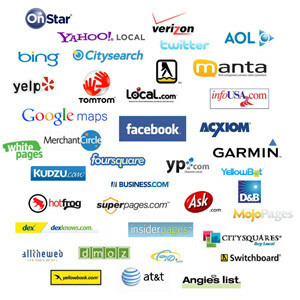 Getting your franchise noticed online requires you to list your business everywhere you can. When your franchise information changes, we can update the information on all of your listings. The categories you choose to list your business under should also be consistent. The more listings (Citations) you have the more Google takes notice. Images, videos and featured offers can also boost your rankings. 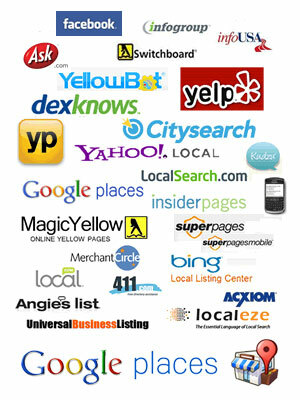 Some of the largest local business directories include Google+ Local, Facebook, Yellowpages.com, Yelp, and CitySearch. Business directory marketing allows you to monitor your competition and keep up with them, as well as look at what other companies might be offering in your area. They also make it easier to find out about market trends and opportunities for growth and expansion. Search engines take note of how present your business information is on the web, and boost your ranking each time they “see” your phone number, address, and especially a link to your website. The more backlinks there are to your website, the more credible your website becomes. Your franchises phone number, street address, and business inforamtion should be consistent through all local business listings. As you introduce a new product or service, be sure to keep your business information updated in order to remain consistent. Stark Logic has access to hundreds of local online business directories and we can submit your complete and accurate business information to every last one of them through business directory marketing. Not only should your basic information be identical on each listing, but you should also accurately describe your product or services in relatively little space. Online business listings have become a place where customers can post and read reviews, find you on the map, and make educated decisions about your franchise company before even visiting your website. Listing your business with as many online business directories as possible will allow you to build an online reputation and grow trust not only with potential customers but with search engines as well. Business directory marketing makes up a significant portion of SEO. Enlisting Stark Logic to optimize your business listings will allow you to use online directories to their fullest, and you will see results instantly from your increased online presence and credibility.